This is the fifth and final game of this series and the remaining Final Four spot is up for grabs. A lot will depend on which team handles the occasion in the most effective manner but the two recent games in Krasnodar will give both teams cause for optimism and concern. It is all set to be an amazing night in the Basket Hall. Lokomotiv got their series off to a great start, grabbing a narrow win in a low scoring game. In that one, they had to bounce back after the away ream started strongly. After this, Lokomotiv lost the next two games but when they faced a do or die situation in Barcelona, they stood firm and got the 80-92 overtime win that means we are now facing a 5th game. Anthony Randolph had an excellent game, picking up 28 points and he was ably supported by Malcolm Delaney who offered 15 points in the win. If both of these players shine again, the hosts could be heading to Berlin next month. 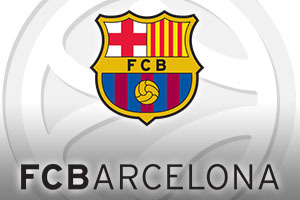 FC Barcelona only have to look back at their last game in Krasnodar for inspiration on how to approach this game. 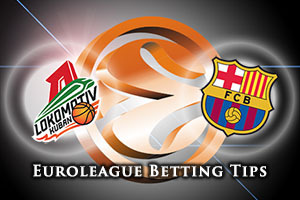 The Catalan club were in excellent form that evening and the 66-92 away win was the second biggest away win the history of the Euroleague playoffs. The key man for Barcelona that night was Juan Carlos Navarro who managed to provide 18 points in the thrilling win. If he can deliver another strong performance the Catalans could be heading to Berlin but it may be that the defensive work will be the most important issue for the away side. The bookies find it difficult to split the two sides so have a look at FC Barcelona Lassa at +1.5 which is available at odds of 1.90. When it comes to the Over/Under market for the Tuesday night clash, focus ongoing OVER 147.5, which you can find at odds of 1.90. This could be a game that takes plenty of time to be decided. Bet Now!